Give your plants some luxury and class with these Planter Stands. Enhance your deck, garden, or patio by featuring your plants up off of the ground. 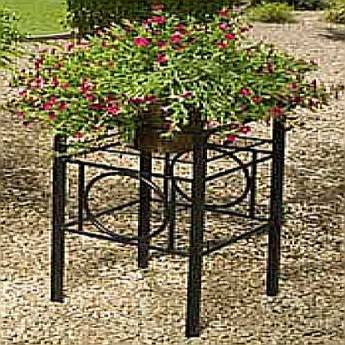 Not only will these planter stands add beauty and elegance, with a variety of sizes available, they will also add dimension to your growing areas while giving your plants breathing room and better sun exposure. They also work great inside your home as well. If you have plants that must be brought in during the winter months, what better way to display your plants than on these beautiful planter stands?